In my previous post about my 14-year vision creation of being in private practice, I mentioned the fact that I had an identity crisis. This came very soon after the birth of my daughter. I just did not know who I was, or what to do; without my work as a therapist. Being a new mom was hard. There were no lists to check off, no natural reinforcement for a great session with a client; only a relationship to grow with a little person who couldn’t really communicate with me. So, five weeks after the birth of my daughter, I signed up to be a Mary Kay Consultant! If you don’t know much about Mary Kay Ash or the business she built, you can check out a brief post here. She was quite an impressive, boot-strappin’ business woman who was less interested in cosmetics and more interested in helping others succeed. She built an international business, literally, from her home, that continues to be privately owned and encourages women all over the world to be their own boss and have no limits. 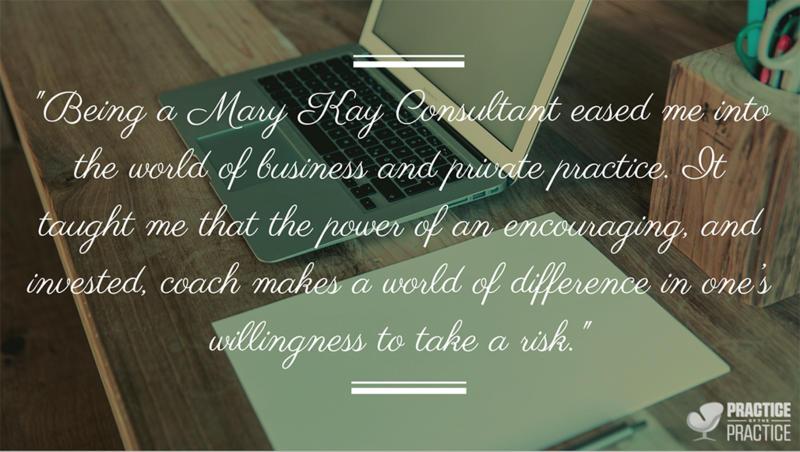 Being a Mary Kay Consultant eased me into the world of business and private practice. It taught me that the power of an encouraging, and invested, coach (in Mary Kay speak this is your Sales Director…shout out to my Sales Director Melissa Olsheski!) makes a world of difference in one’s willingness to take a risk. It taught me to get out and get to work even if I was fearful and didn’t feel the drive on that particular day. It taught me that success comes through perseverance. These are all lessons that I needed to learn before I took the leap into private practice. Amazingly, my Mary Kay Sales Director was always invested in helping me develop my business skills so that my true vision of opening my private practice would come to fruition. My Mary Kay Sales Director would frequently refer to the “Pink Bubble.” This is a mental, and sometimes physical, place of energy, confidence, encouragement, fun, low stress, and supportive peers. The “Pink Bubble” is like our private practice growth communities: Practice of the Practice, ZynnyMe (zynnyme.com), the Private Practice Toolbox with Dr. Julie Hanks, etc. When starting out in private practice, there are a million reasons to be scared. It’s easy to believe those things unless you intentionally surround yourself with an encouraging tribe of people who will increase your confidence and learning and help you have fun while creating your private practice. During our weekly “success” meetings, successes were celebrated and goals for the next week were set! There is power in developing and writing down your goals, and sharing them publically. People check in on your progress, hold you accountable, help you problem solve, and encourage you to keep at it. When we share our goals publically with our tribe, they can help us see if our ways of thinking are keeping us stuck in a cycle of fear or procrastination. Mary Kay Ash believed that the best way to resolve most issues in business is to practice the Golden Rule – treat others as you want to be treated. This philosophy is evident in the Mary Kay culture, and I think it’s evident in the private practice building culture. There are a ton of free trainings and Facebook communities that will review your work, help you problem solve, and help you think through ethical private practice building dilemmas. Mary Kay Ash was a big believer in “the early bird gets the worm!” When you’re developing a private practice and boot strappin’ it, there is a lot to learn and a lot to do. It’s important to take care of ourselves mentally and physically before we get started with our day. Make sure you are getting good sleep, taking time to exercise, spending time with friends or family, and praying or meditating. Mary Kay believed that the best time to do this is in the morning, and for me that works well too. Mary Kay Ash believed in faith first, family second, and business third. This philosophy reminds me of others who encourage us in private practice to build your practice around your life, instead of vice versa. This reduces the risk of burn out, and it also models for our clients what we encourage them to do. 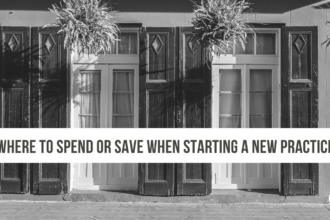 It can be hard to know how to put this into practice, but a phrase I ran across a few years prior to opening up my private practice has really helped me learn how to prioritize things. You can read about that here. Mary Kay is more than a cosmetic and skin care company, it’s really a culture that supports good business practices and develops leadership. Being a Mary Kay consultant helped me recognize some very important foundational aspects of private practice building that has helped me increase my confidence, set daily practices, and most importantly, surround myself with an encouraging tribe! Dr. Melissa Leedy, Ph.D., is a psychologist in Broken Arrow, Oklahoma and owner of Legacy Counseling Service. She specializes is helping client adjust to health problems, insomnia, depression and anxiety to that they can get back into life fully! She loves to experiment with cooking, to practice yoga, spend time with her family and friends. She also loves sharing what she has learned about starting a private practice with other therapist.